The Gold Labeled iTech Transilvania Cluster by ARIES T collaborates very actively with national and international entities and represents one of the key actors in co-creating and implementing strategies in the IT & C area. Our cluster strategy is to stimulate collaborations between parties in order to develop innovative collaboration opportunities, using as main tools digitalisation, IoT, Smart City Strategies and artificial intelligence in order to stimulate the development of a more sustainable ecosystem and also the development of new synergies between industries. As a field of activity, smart city represents a special focus of iTech Transilvania Cluster by ARIES T, being directly involved in concept, design and implementation of the Smart City Strategy of Cluj-Napoca, the most technological city of Romania. We thrive in developing a Smart City Strategy were we collaborate intensively with the Municipality of Cluj-Napoca and other relevant stakeholders in order to identify collaborative projects and create partnerships with public and private players. Also, iTech Transilvania Cluster by ARIES T is interested to identify other clusters for best practice sharing, to identify cross-sectorial collaboration projects in the following sectors: cultural and creative industries, agrofood, mobility industries, multi-media, e-gaming, automotive industries, IoT, Smart Machinery. We also, facilitated the creation in 2016 of the Transilvania Creative Industries Cluster among other important stakeholders from the local and regional ecosystem. Thus, we contributed to the development of creative industries sector in the region that has a huge potential. Description of the Offer/Request: One objective we want to achieve is that our cluster is looking for is to develop new links with other clusters from IT&C sector and also other fields of activity like digital industries, Smart Machinery, Green Energy, and creative industries in order to initiate new trans-sectoral projects and collaboration, partners for co-creation for our members’ companies. 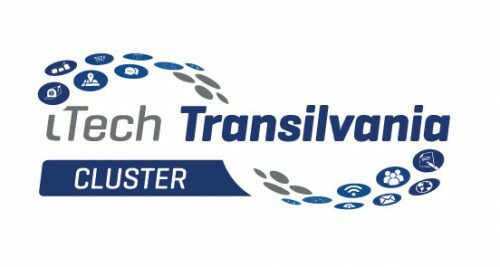 iTech Transilvania Cluster by ARIES T is interested in promoting the cluster and its members, to meet new potential clients for its members, to find new collaboration opportunities for the cluster. At the same time, it will be a great opportunity to analyze first-hand the synergies that can be developed and a potential establishment for future joint efforts with companies from different sectors. Our member companies are interested to collaborate in the IoT, Smart Machinery, Innovation, Industry 4.0 and research areas, in order to create innovative projects with major impact on the community.